In a prior post, we highlighted some helpful tips on what motorists should do after an accident. Basically, there are a number of things that can help in preserving a person’s right to recover damages or be eligible for compensation. However, there are also some common mistakes that drivers can make that can sabotage their cases. This post will highlight the things that drivers should avoid after a crash. Admit guilt – Quickly admitting fault is a bad idea because you may not know (at that moment) whether you specifically were at fault. Essentially, there may be other things at play that you may not know about that affect the crash. So while you may feel like apologizing because you feel bad for the person injured, this may be seen as an admission of guilt. Threaten or assault the other driver – If you’re angry about what just happened, it may be understandable, but it is unhelpful to punch the other driver’s lights out. Of course there may be an exception to this. A driver who has children in their vehicle may get a pass. Falsify your information – If you do not have your insurance information available, don’t lie about it. Falsifying your insurance information may do more harm than good. 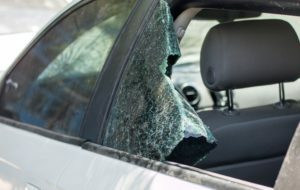 Leave the scene of the crash – Not only is this a crime, a potential jury will not look kindly upon you in the even a civil suit is brought against you. It is better for you to stay at the scene until the police arrive and tell you that you are free to leave.